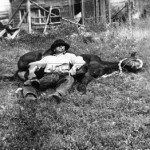 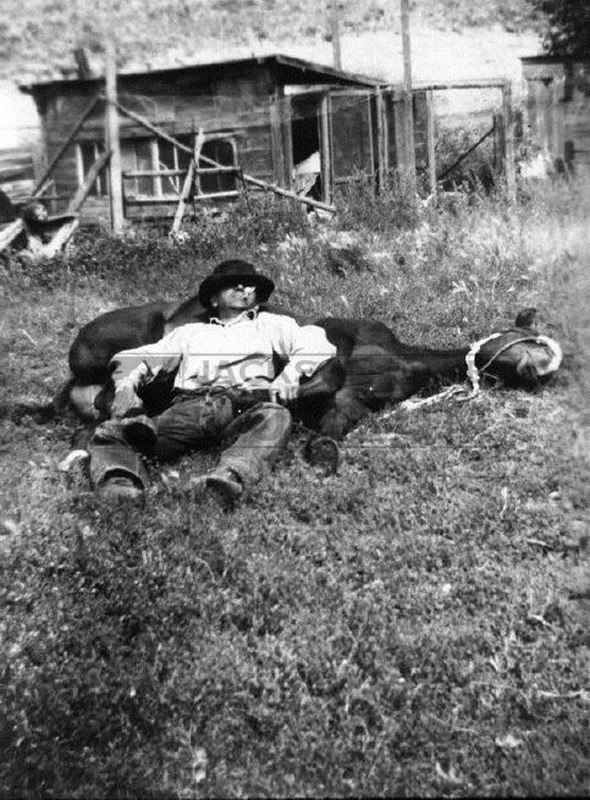 “It’s a curious phenomenon of the great American West that if you toss a few men, horses and cattle together in close proximity, you’ll most likely have some sort of contest on your hands.” –Jackson Hole News, June 17, 1971. 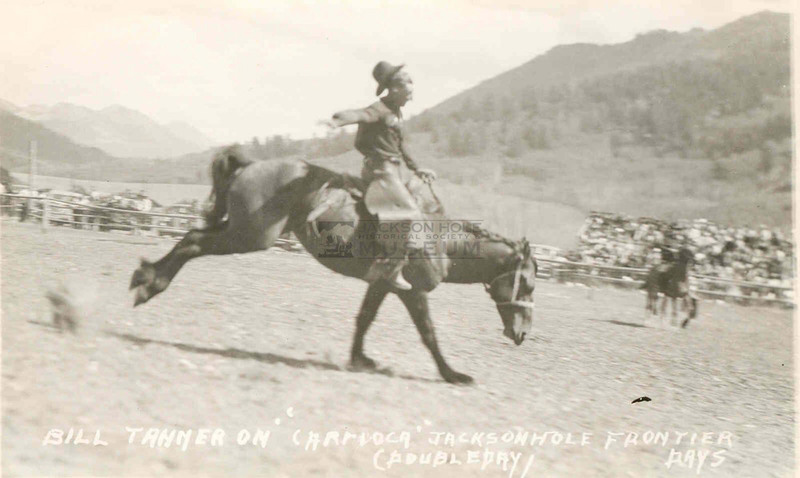 Rodeo is as much a part of the history of Jackson Hole as the mountain man, dude rancher and every other character to enter and inhabit this valley. 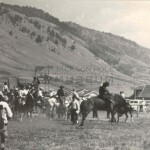 And it was the frontier spirit that fueled these contests of skill and will – making them a center piece of the town’s cultural heritage: “We’d bet a pair of silver spurs that “rodeoing” came to Jackson’s Hole on the day that the very first man trailed into the valley with all of his grub and worldly belongings diamond-hitched onto a packhorse.” quipped a 1971 article in the Jackson Hole News. 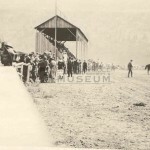 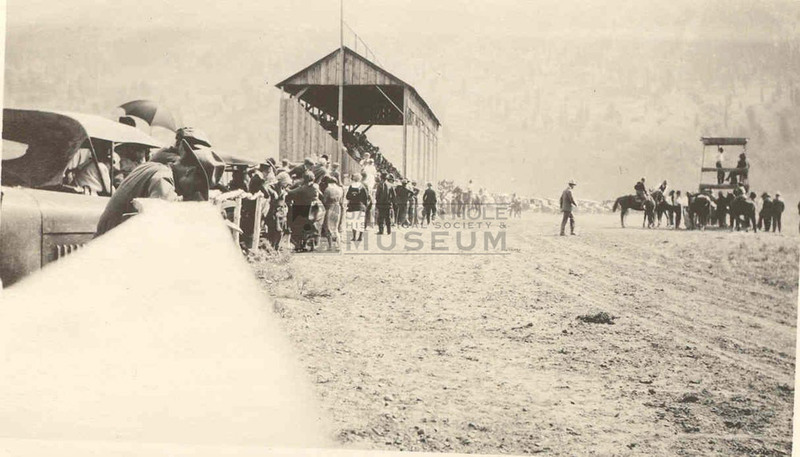 By 1911, before the incorporation of the town in1914, the valley folk had already put together a genuine rodeo with grounds that would soon have a grandstand and racetrack. 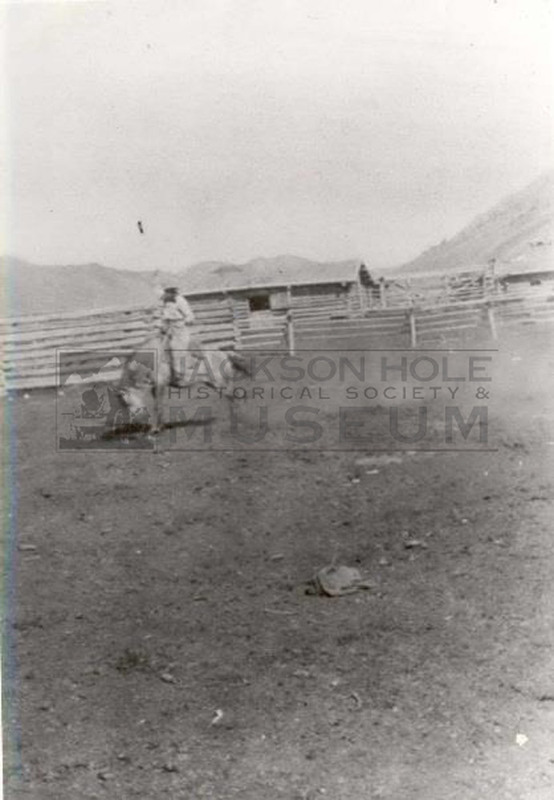 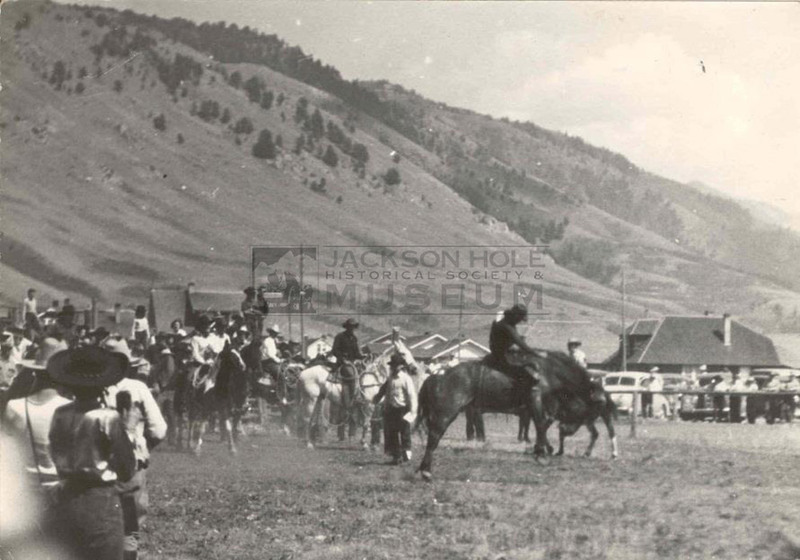 The “Jackson’s Hole Frontier Rodeo” was held annually during the first three days of September. 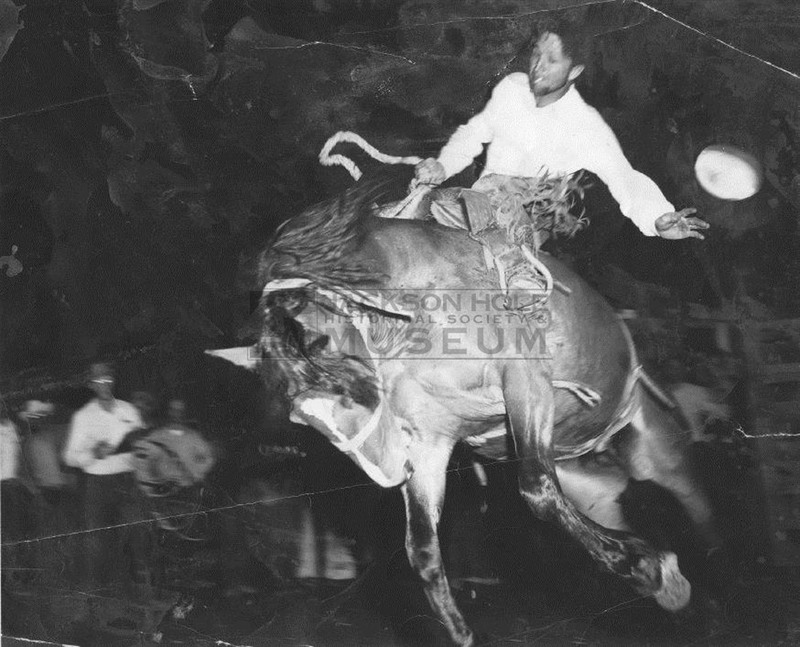 Two Jackson residents, Bob Crisp and Howard Henrie, were the top rodeo hands in those days – Bob is seen below, taking a nose-dive off a horse that lived up to its name of “Crumbling Ann”. 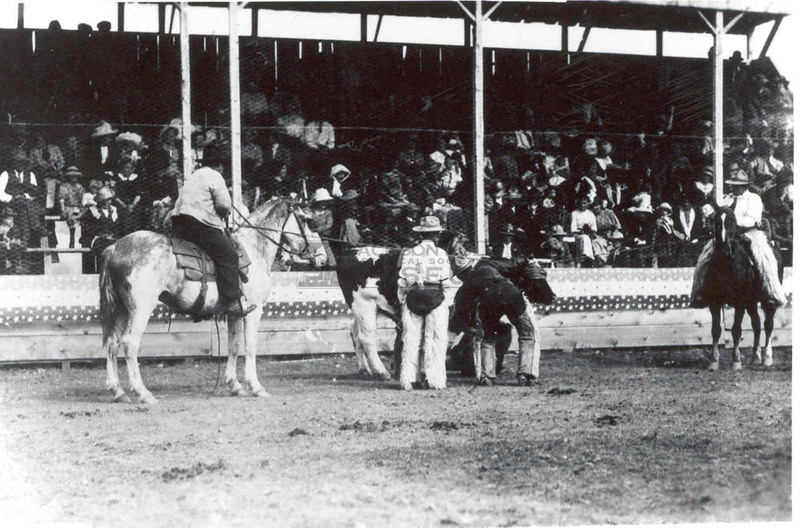 It was four early Jackson settlers that organized the informal contests that grew into the town’s legendary rodeo. 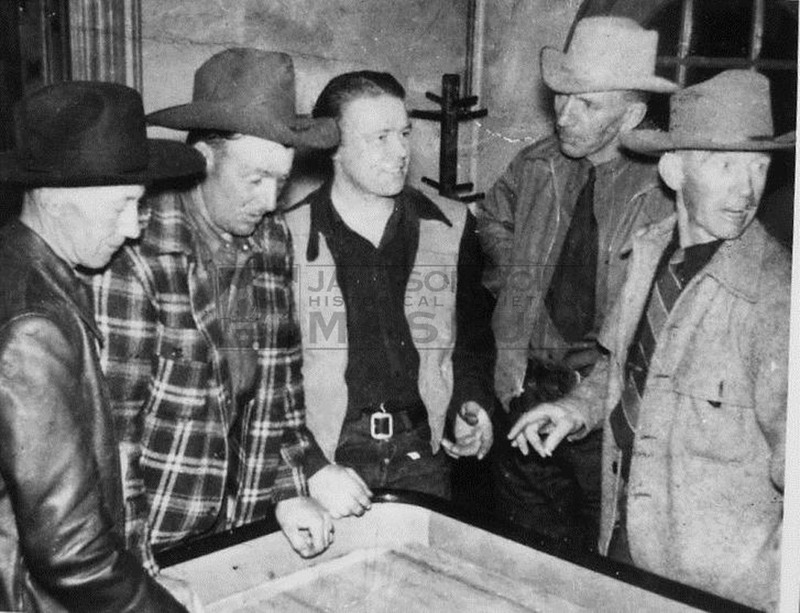 All had business and ranch interests that motivated them to turn a casual bucking contest and get together into a real business proposition. 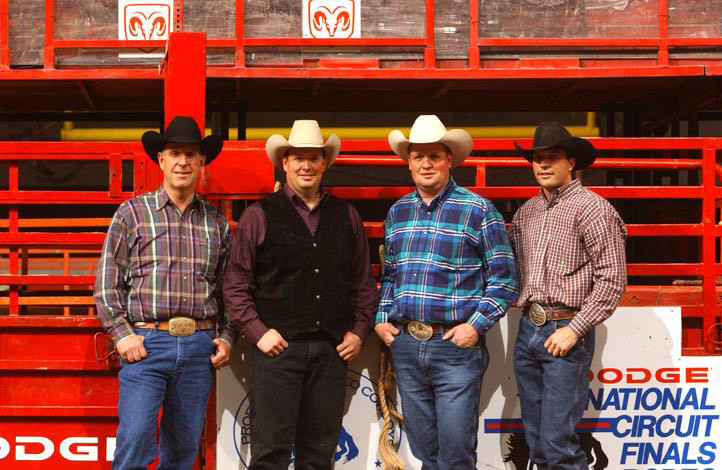 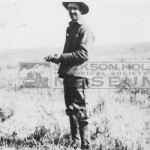 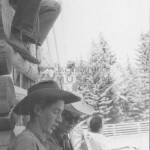 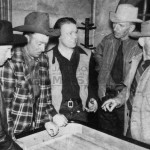 The four who organized the first rodeo: Jack Enyon, Pierce Cunningham, T. Lloyd and Roy Van Vleck. 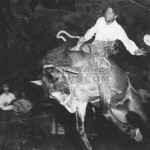 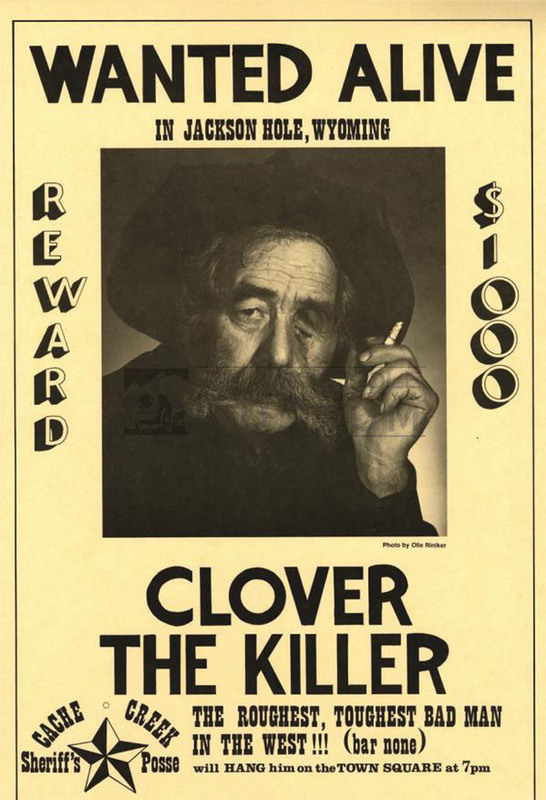 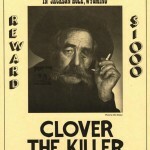 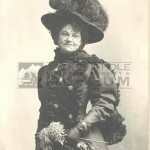 Three other well-known characters were avid rodeo participants: Walt Spicer, Clover Sturlin and Bill Tanner. 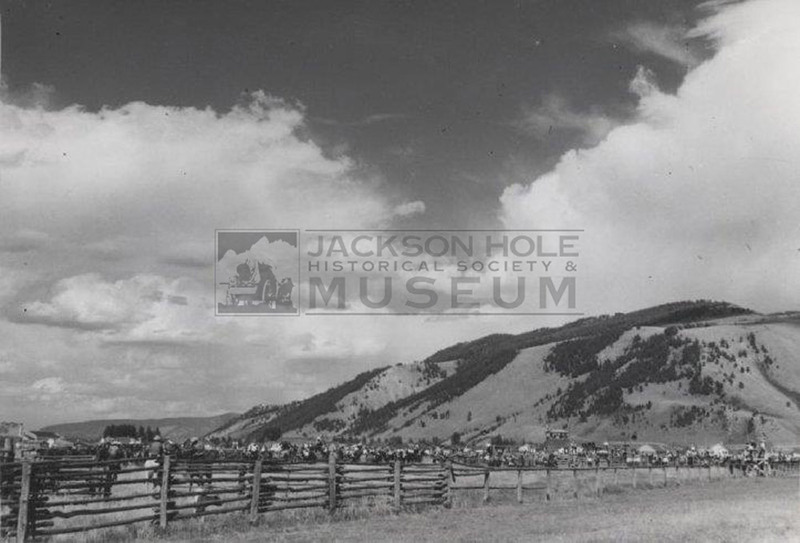 Walt owned the garage that housed the first Conoco and Chevy dealership in the valley, now the Jackson Hole Playhouse. 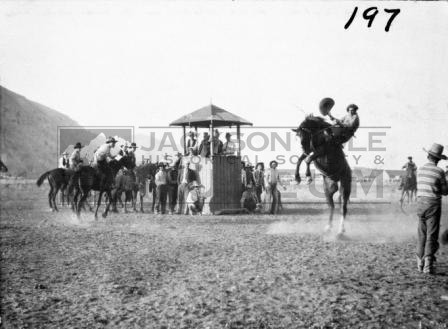 Bill Tanner riding “Carioca” at the Jackson Hole Frontier Days. 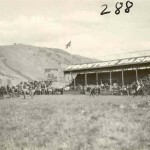 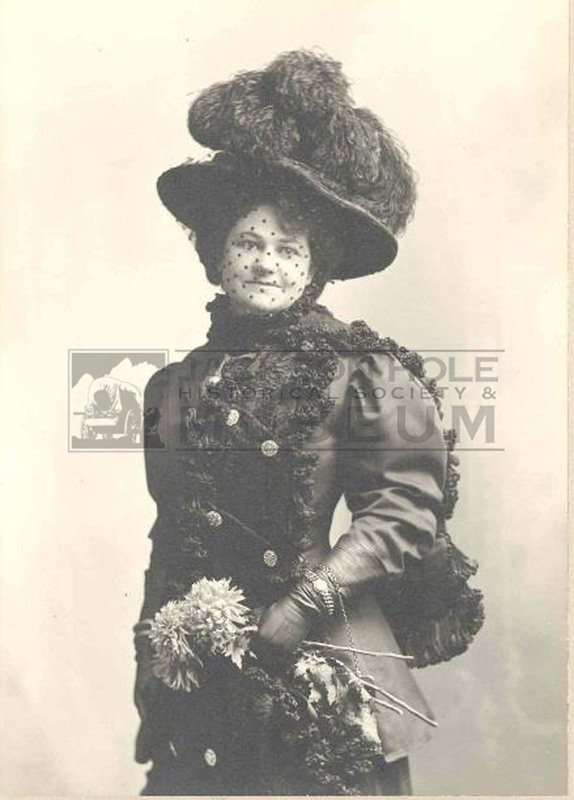 The more informal, rough and tumble setting of the first friendly contests entered a new phase of planning when Belle Flanders, John and Jess Wort’s sister, donated about 40 acres of land to the town for use as rodeo grounds. 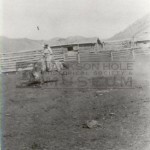 Today, this original location is found south from Broadway to the Center for the Arts and west to the Elks Lodge. 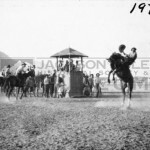 These early rodeos were held the first three days of September and, according to Howard Henrie, “ranked right up there with Cheyenne Frontier Days and the Pendleton Roundup,” ( 1971 JHN interview). 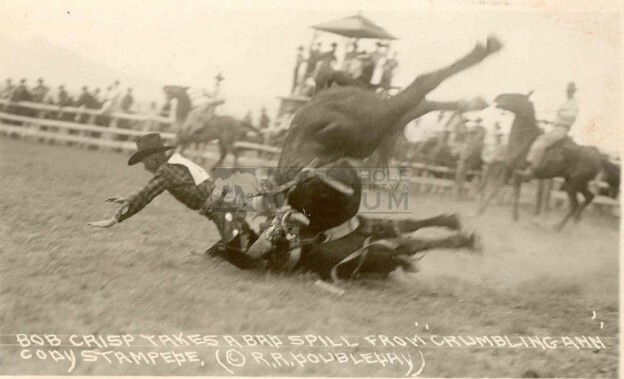 By 1918 the rodeo was experiencing a rough patch. 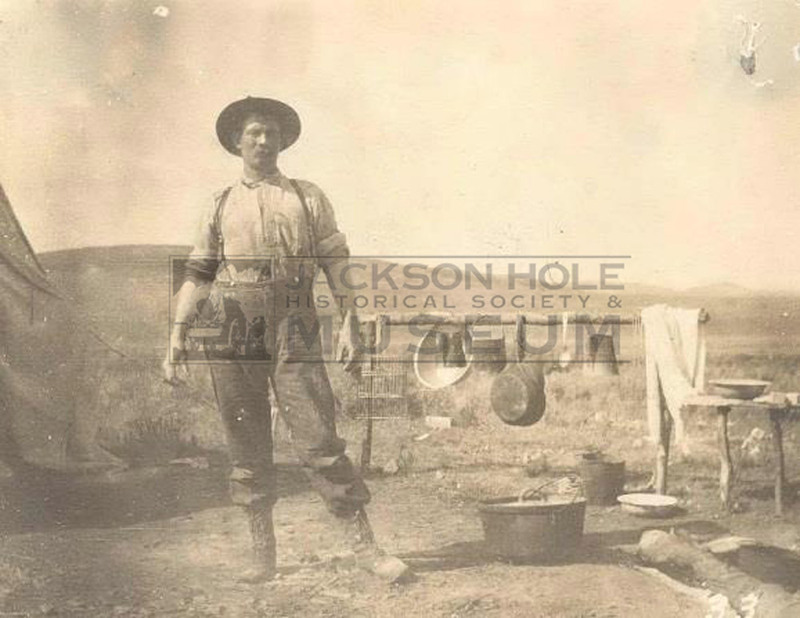 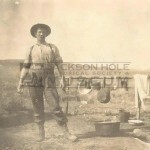 This wasn’t for lack of interest, but during the First World War many young cowboys had gone to work for Uncle Sam. 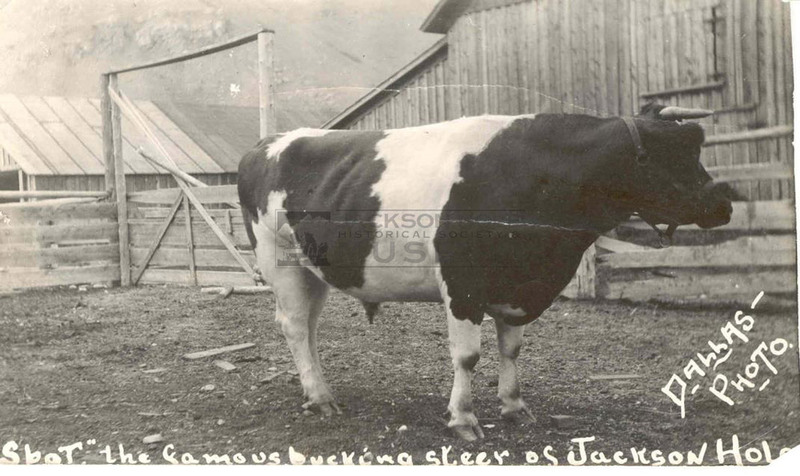 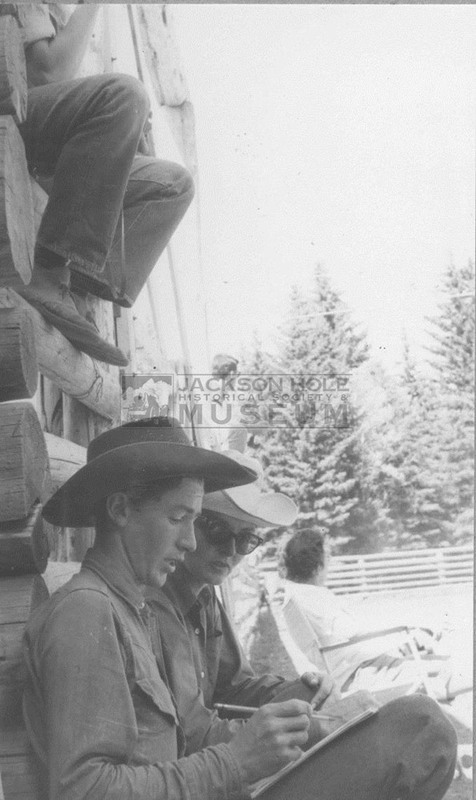 It was also a blow to the business side of things when one of the original fathers of the Jackson Rodeo, T. Lloyd, moved to Alaska. 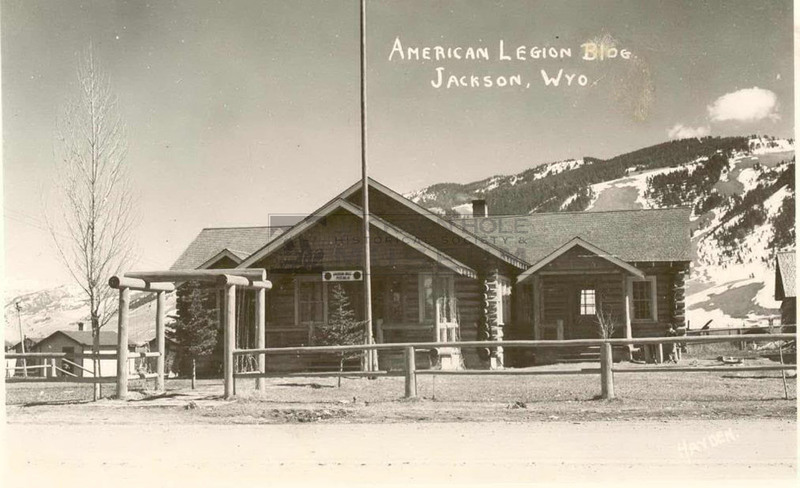 Outside interests began to draw away other partners away and when the boys came home, the new American Legion was tasked with running the show. 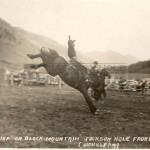 operated the rodeo: it is to the credit of Walt Callahan, Bill Saunders, Hal Johnson, Bob McConaughy, Russ Moses and Philip Wilson that the rodeo was kept alive, a true celebration of a life and spirit that remains an important part of Jackson Hole history. 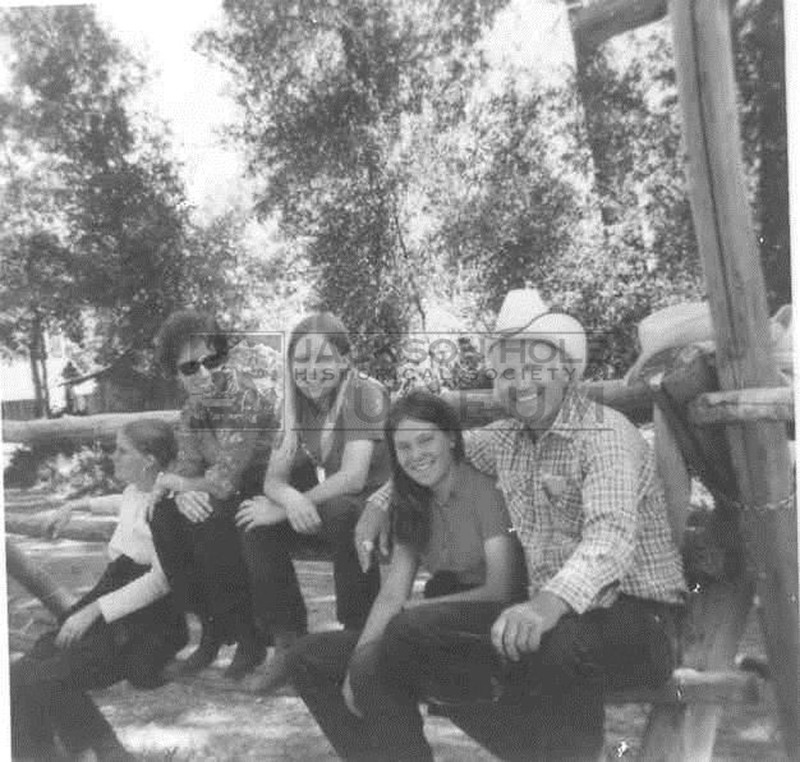 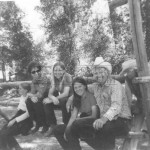 Bob’s McConaughy’s father owned the R Lazy S ranch, after his death, Bob and his wife Claire (pictured with sunglasses) ran the ranch. 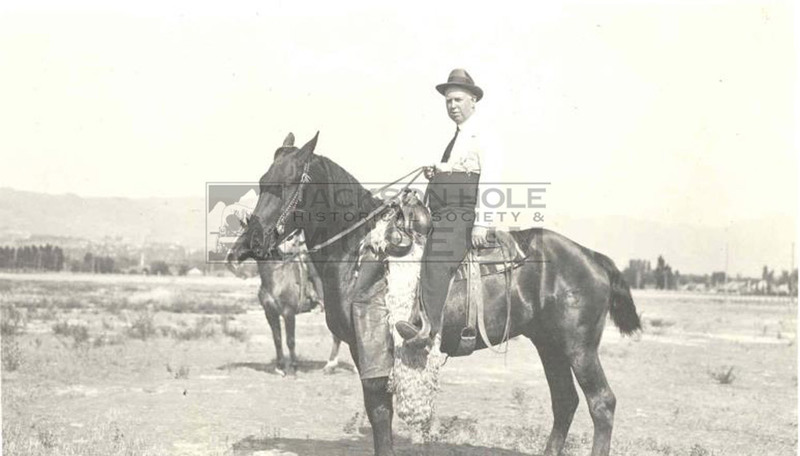 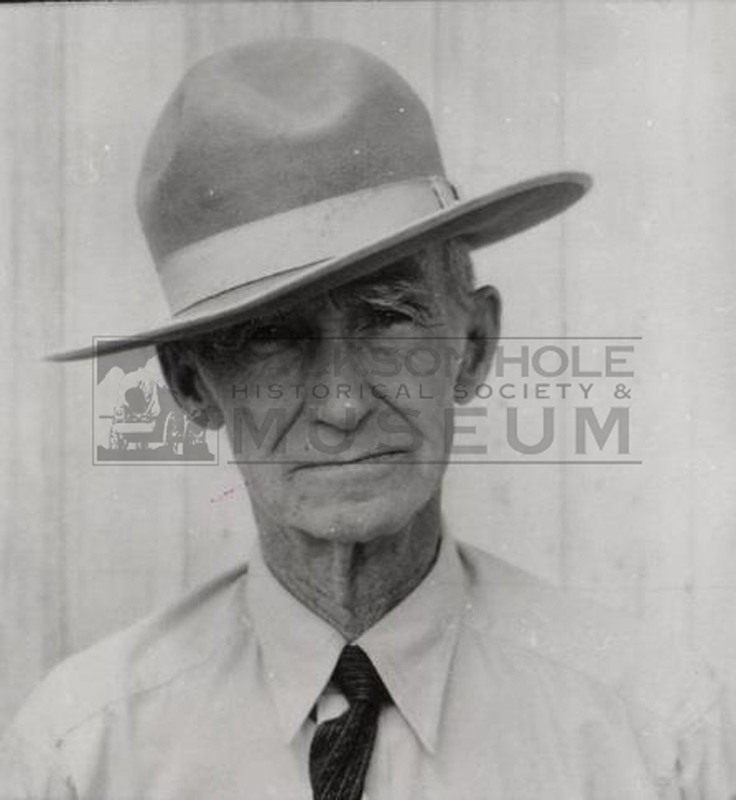 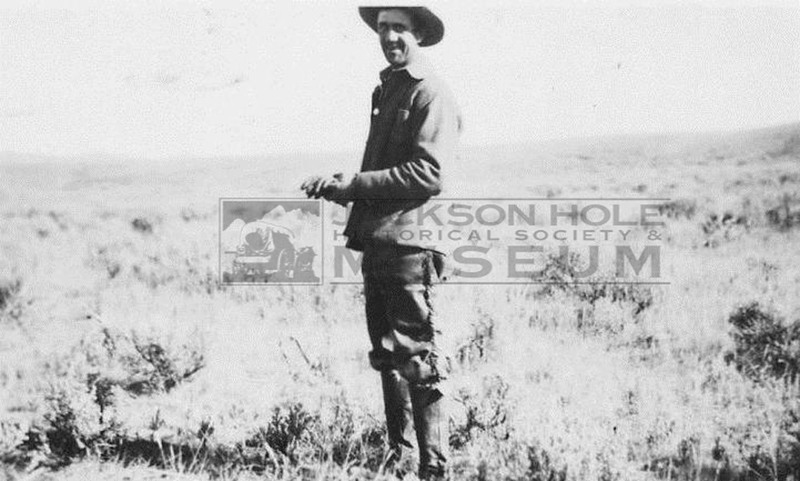 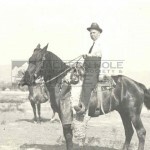 His ranching experience and ability as a horse trainer greatly aided in his success running the rodeo and it was he who was responsible for adding bull riding as a key attraction. 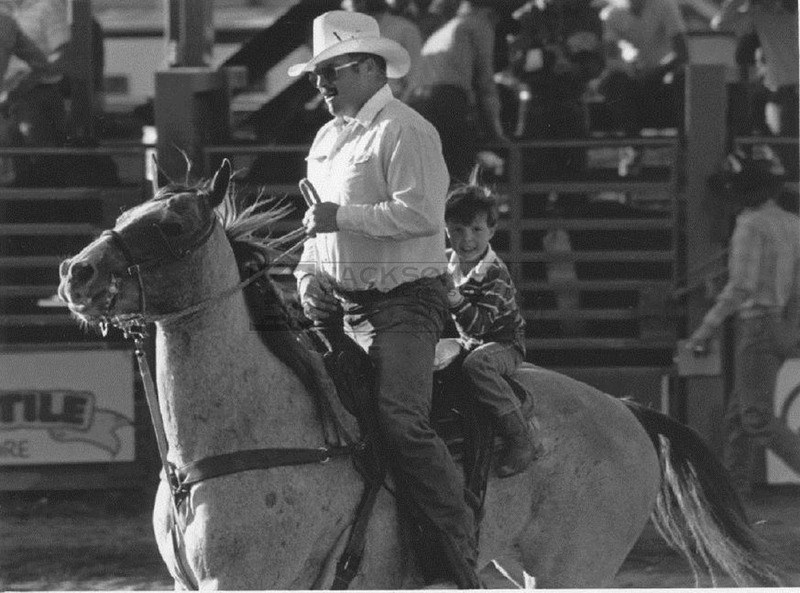 Russ was a partner to Bob McConaughy, thoroughly enjoying every aspect of the trade. 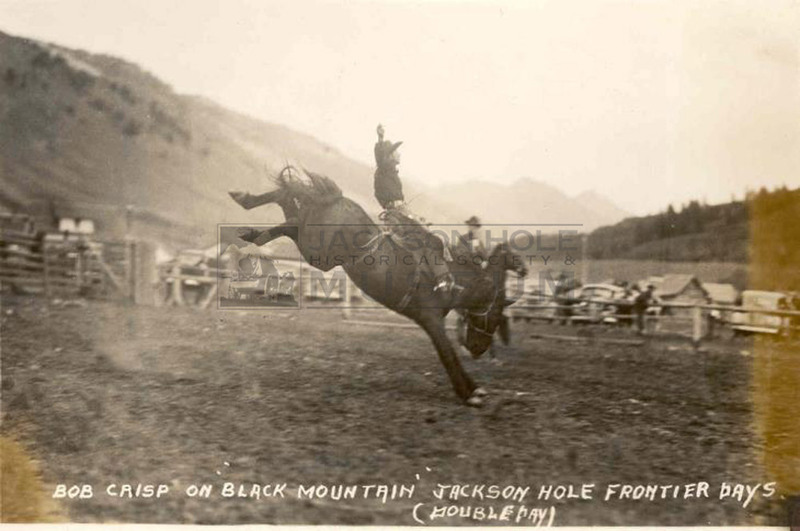 A past president of the Jackson Hole Old Timers Rodeo – Russ competed in the sport for over 25 years. 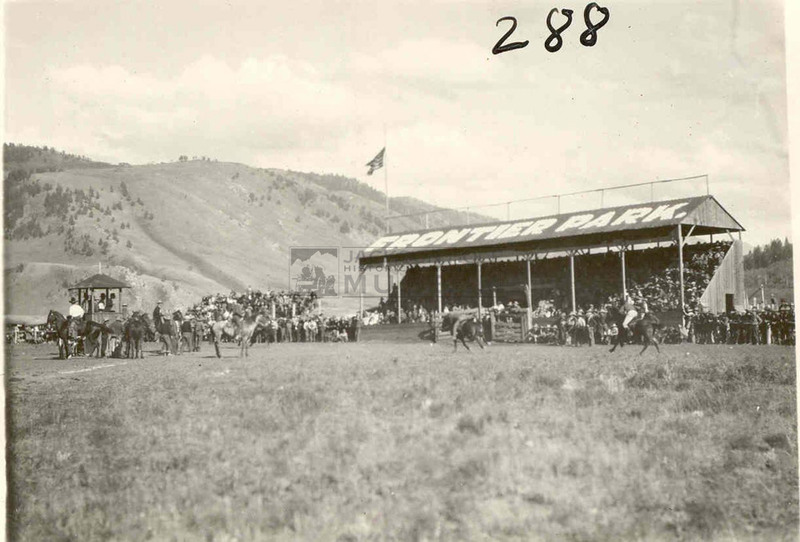 The Jackson Hole Rodeo still draws the crowds and is a beloved part of our valley’s summer season – we hope you’ve enjoyed the show!